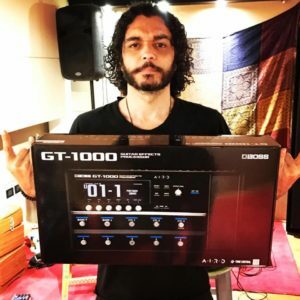 Successful Egyptian guitarist Ousso Lotfy has announced the release of his new album, ‘Khashab & Kaharaba’, urging fans to listen to it on various internet platforms, thanking dozens of artists for their support. The 15-track album is “an Arabic jazz fusion album experience recorded with a diverse selection of guitars. Most of the compositions are recorded and arranged twice, exploring different arrangements and guitars,” Lotfy stated. The founder of SOS Music Festival (2006-2010) and Ewsal bel3araby (2016), Ousso is an icon of the country’s alternative music scene, co-founding successful bands like Nagham Masry and HOH (with Wust El-Balad’s Hani Adel and Hani El-Dakak of Masar Egbari), as well as being a member of Eftekasat and several other bands. “When composing a track, in my head I always imagine a vast variety of options, so I decided to experiment with some of it in this album,” Lotfy said. Lotfy, who started recording the album in 2013 while at Berklee Valencia Studios, put the project on hold for four years due to his engagement in various projects before finally resuming at his studio in Cairo. Each track of ‘Khashab & Kahraba’ is visually designed by the founders of artistic retail store Earth, artists Mohamed Aref and Hoda Ismail, who expressed delight in participating in the album. 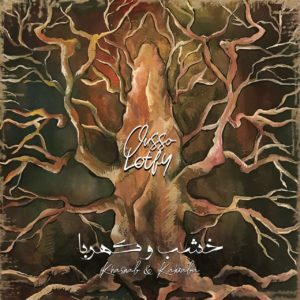 Khashab W Kahraba: Middle East’s Leading Guitarist, Ousso Lotfy, Just Released His Newest Album! My love and passion for music started at a very young age. I remember creating schedules for all the cool concerts taking place and save for the ones I wanted to attend. One concert I remember very well was the very last S.O.S festival, where I first saw the leading guitarist in the region, Ousso Lotfy, performing with Eftekasat. Being the fan that I am, Ousso Lotfy releasing his latest album ‘Khashab W Kahraba’ was great news for me, and I have to say, you must check it out! ‘Khashab W Kahraba’ is an Arabic jazz fusion album experience that was recorded with a diverse selection of guitars. The album’s composition is recorded and arranged twice, exploring different arrangements and guitars. Ousso started recording the album back in 2013 during his masters in Valencia, but paused for four years because of different projects he was working on, and finally decided to finish his album this year. Ousso is the mastermind behind ‘Ewsal Bel 3araby’, the most complete Arabic platform for aspiring and accomplished musicians. He’s also a part of HOH band with Massar Egbari’s Hany El Dakak and Wust El Balad’s Hany Adel. Ousso is the strongest link between the independent and mainstream music scenes in Egypt. He was and is part of some of the best independent music bands like Nagham Masry, Eftekasat, and he also performed alongside the best musicians in the mainstream scene like Mohamed Mounir and Amr Diab. WE SAID THIS: Check out ‘Khashab W Kahraba’ on Anghami, Spotify, and iTunes! 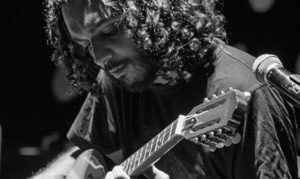 Ousso Lotfy is perhaps the most in demand guitarist in the Middle East. Aside from touring with the biggest pop stars in the region he’s also been integral in building the Egyptian music scene since the mid ‘90s. Beyond being a guitarist, Ousso is also a composer, producer, sound engineer and founder of online tutorial platform Ewsal Bel3araby. 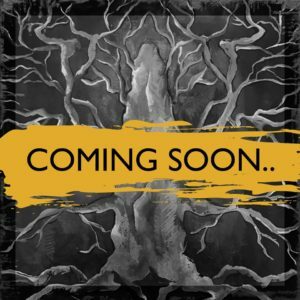 Ousso finally released his new album Khashab w Kahraba (Translated: Wood & Electricity) after six years of working on it. The Arabic jazz fusion experience’s concept lies behind its name, as every song in it was recorded twice, once on an acoustic guitar (wood), and the other on an electric guitar (electricity). Find out more about Ousso and the album here. Ousso Lofty proudly release’s his new album “Khashab w Kahraba”. “An Arabic jazz fusion album experience recorded with a diverse selection of guitars, most of the compositions are recorded and arranged twice exploring different arrangements and guitars”. Visit http://ousso.com/khashab-w-kahraba/ to listen to the full album and for more information about “khashab & Kahraba”. Full album is also available on iTunes, Anghami and Spotify. “I started recording this album back in 2013 during my masters in berklee Valencia, it was then paused for 4 years of which I did Ewsal Bel3araby – اوصل بالعربي platform, HOH band, event management and organising, several tours, recordings and restarted my life from scratch. Until I decided it was time to resume the album.” – Ousso Lotfy. Thank you to all the people who contributed to the success of this album. 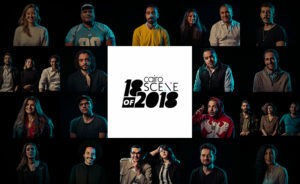 Since 2015, CairoScene has closed each year by scouring not just the country, but the world, for extraordinary Egyptians. The ones breaking new ground, challenging the status quo and shaping the future. The ones solving, innovating, redefining and revolutionising their industries. This year, our search has taken us far and wide, with the list bringing together pioneering figures from the worlds of business, media, fashion and the arts, as well as one or two who defy classification altogether. These are the game-changers, the ones daring to think differently. These are 18 of the most impactful and inspiring Egyptians of 2018. 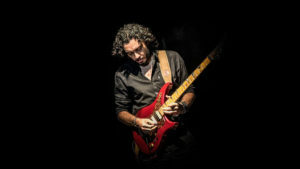 Ousso Lotfy is perhaps the most in-demand guitarist in the Middle East, having played with the biggest pop stars in the region. 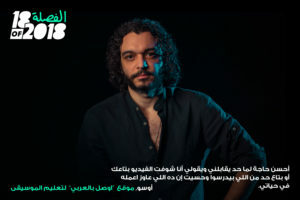 He’s also co-founder of Nagham Masry, a member of Eftekasat and one third of rock supergroup, HOH, alongside Hany Adel from Wust El Balad and Hani el Dakkak from Massar Egbari. His legendary status as a musician aside, Lotfy was the orchestrator of breakthrough underground festival, Save Our Sound (SOS), which gave hundreds of upcoming artists from all across the country a platform to perform in front of audiences of thousands. 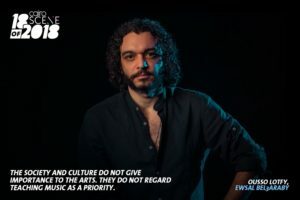 He has always had his heart set on creating a foundation for the Egyptian music scene to flourish and, this year, he has made even more headway. 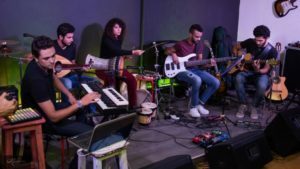 How many talented young Egyptian musicians have been forced to put down their instruments because of pressure from their parents to ‘get a real job’, or because there was simply nowhere to perform? How many Egyptian kids could be the next ‘big thing’, but never get the opportunity to learn an instrument at all? Video and photography by @MO4Network’s #MO4Productions, shot at @MO4Network Studio. In der arabischen Welt fehlt es an guten Lehrern für das Erlernen von Musikinstrumenten. Die Website „Ewsal Bel3araby“ bietet nun kostenlosen Unterricht. Der Initiator, ein ägyptischer Gitarrist, ließ dafür seine Kontakte spielen. Für Mo`men Hassan ist ein Traum in Erfüllung gegangen. Der Bassist spielt als professioneller Musiker in mehreren ägyptischen Bands. Das Lieblingsgenre des 24-Jährigen ist Progressive Rock, aber auch Oriental Fusion gehören zu seinem Repertoire. Die Website heißt Ewsal Bel3araby, das bedeutet „Erreiche dein Ziel auf Arabisch“. Seit zwei Jahren werden hier nicht nur kostenlos Bassgitarren-Stunden angeboten, sondern auch Noten- und Harmonielehre und Lektionen für 14 weitere Instrumente: Violine, Oud, Keyboard, Schlagzeug und viele mehr. „Wenn Du Ewsal Bel3arabi anklickst, wirst Du eine Menge über Musik erfahren“, verspricht der Online-Coach im Tutorial. „Lass uns schauen, was es alles gibt“, lädt er die Nachwuchsmusiker vor dem Bildschirm ein. Damit ist der Traum von Ousso wahr geworden. Auch Hany El Badry ist so unverhofft zum Online-Coach geworden. Er ist ein Virtuose auf der Nay, der orientalischen Flöte. An eine spezielle Lehrmethode müssen sich die Musiker in ihren Videos nicht halten, sagt Ousso, der selbst am Musikcollege von Berklee in den USA studiert hat. Jeder Künstler habe seine ganz eigene Art, sein Instrument und seine Spieltechnik zu erläutern. Aber auf der Website gebe es Empfehlungen, in welcher Reihenfolge, die Videos gesehen werden sollen. Thanks to Al Fanny Trading – Roland Egypt and @bossfx_us , stay tuned for a Walkthrough video!